'If Walls Could Talk': A History Of The Home Why did the flushing toilet take centuries to catch on? When did strangers stop sharing beds? And how did people brush their teeth with fish bones? 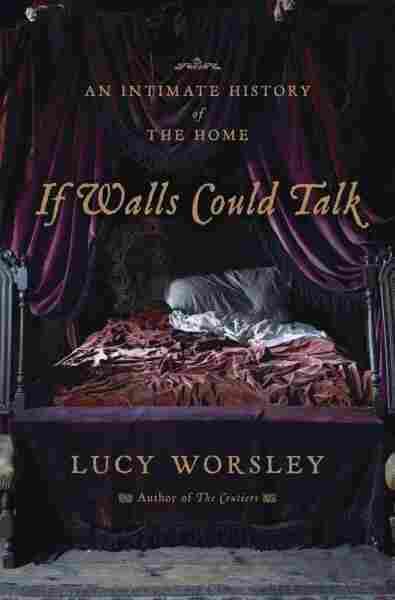 Historical curator Lucy Worsley details the intimate history of the bedroom, bathroom and kitchen in her new book. Lucy Worsley works as the chief curator in several palatial buildings in London, including Kensington Palace, Hampton Court Palace and the Tower of London. In contrast, she lives in what she calls a "normal, boring modern flat." "You would have been quite happy to share your bedroom not only with your husband or wife, but with your colleagues from work — even with people that you didn't know at all," she tells Fresh Air's Terry Gross. "And if you look back centuries, people have no particular requirement to sleep by themselves. And that's because there weren't enough rooms in their houses." In medieval homes, servants were likely to bunk down together on the floor of a giant hall — where it was likely smelly, sweaty and not very quiet. "But the alternative was worse," says Worsley. "To be sleeping outside, I suppose. If there aren't enough bedrooms, you have to share, and you're glad to do so — because of the warmth and security it brings." Because bedrooms lacked privacy, young amorous couples often flocked to fields, says Worsley. "You know, the merry month of May — this is the time when young people can get out of the confines of a cottage with very few rooms and enjoy themselves in the woods and fields," she says. "A level of supervision was very desirable." To keep their children from going to the fields, some parents in the 17th century would allow a daughter to sleep in the same bed as the young man courting her — but both the woman and man were tied down with heavy rope in a practice known as "bundling." "The idea was that they spend the entire night chatting and getting to know each other to decide if they wanted to get married," says Worsley. "I see bundling as a really important step in the journey toward marriage becoming a marriage of personal choice, rather than something you're just forced into by your parents for economic reasons, because you don't have to marry the man or woman after the night of bundling." During a night of bundling, parents likely stayed elsewhere, because many homes contained only one room. "The bedroom was the room for everything: cooking, leisure, sleeping, the washing and working as well," she says. "And the funny thing is, history has gone full circle, because my modern, boring flat where I live is essentially one room. And it's multipurpose. But between [older homes] and that, there's been an entire journey that homes that have taken, which has developed different rooms and reached a high point, I think, in really grand Victorian houses. But since then, there's been a trend back toward medieval simplicity and multipurpose rooms." 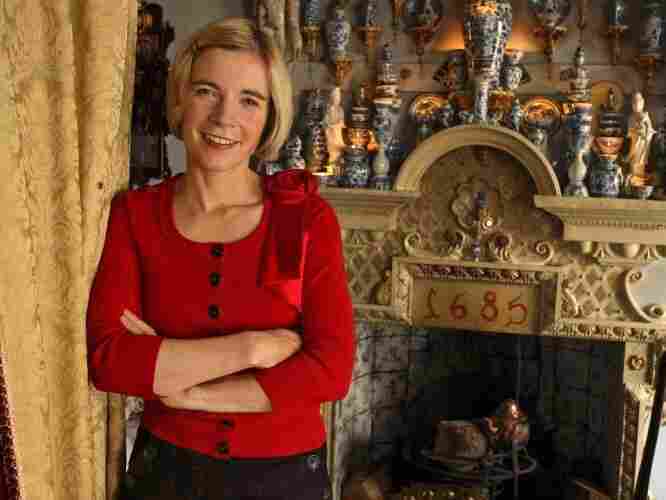 Lucy Worsley is the chief curator at Historic Royal Palaces, the independent charity looking after the Tower of London, Hampton Court Palace, Kensington Palace State Apartments, the Banqueting House in Whitehall, and Kew Palace in Kew Gardens. "It's not a room type that we recognize anymore. We have freestanding pieces of furniture called wardrobes that might be used for storing clothes. But those little square, dark, walk-in rooms don't exist in the U.K. That's a little piece of history that you've got that we haven't." "It really flourishes in the Victorian age when the security and seclusion of your bedroom and bed linen becomes paramount. If you read Victorian manuals, they're crazy — the amount of attention they devote to the perfect making of the bed, the cleanliness of the bed, the hygiene of the bed." "[Before the 19th century] people washed parts of their bodies wherever it happened to suit them. As part of the research for this book, for a week I went on a Tudor personal hygiene regimen. The rules were: no bath, no shower, no toothpaste, no deodorant. How did they do it? And I knew that they did just use a basin of water. They would wash all the parts of the body one after another. And they would do it wherever it happened to be nice and appropriate." "She had a flushing toilet fitted in one of her palaces. She was aware of this technology, but she didn't use it because she didn't want to go to the loo — she wanted the loo to come to her. She wanted her servants to bring her a chamber pot whenever she wanted to." Burnt toast crumbs – completely rubbish. I was using a twig. What worked quite well was a mixture of rosemary and salt mixed together, rubbed on with a cloth, actually, followed by a gargle of vinegar. "Most of them were quite unsuccessful. Burnt toast crumbs — completely rubbish. I was using a twig. What worked quite well was a mixture of rosemary and salt mixed together, rubbed on with a cloth, actually, followed by a gargle of vinegar. Best of all was a 17th-century ... recipe of cuttlefish. You know those white carcasses of fish? That ground up makes really excellent tooth powder." "The word 'crap' is actually another word that's very, very old. It was taken over from 17th century England by the pilgrim fathers, and Americans were talking about things being crap in the 17th and 18th centuries. What Sir Thomas Crapper — complete coincidence — does is not invent the flushing toilet, as many, many people believe, but was a great promoter for it. He ran a business marketing other people's products, and that's why his name was on them. When the American soldiers came over in the first world war, they all thought it was hilarious that it said 'crapper' on them." "I think they're a very good thing indeed. As a piece of living history, it's brilliant to think that they're facing the same challenges that we can see coming up in so many of the royal characters that we see in our work as curators. So they're interesting from that point of view. They're terribly important to people's notions of Britain and Britishness, and they're a really big part of the tourist industry as well. All of those processions, the regalia, the crown jewels — they're essential to our conception of who we are over here. We know that people all over the world share this fascination and come to see them."